Welcome to another addition of the Creative Career Interview Series. This week I’m super proud to feature some hometown talent. 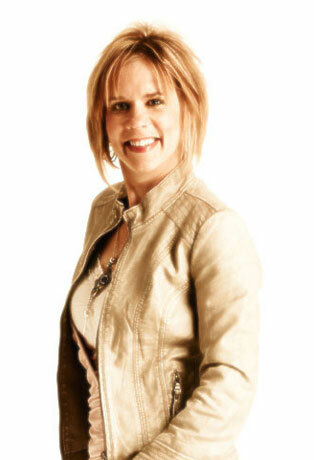 Faye Fossay is a Manitoba-grown Owner and Director of F3 Designs. We met at a blogging conference last November and she’s a Farmwife with no garden. (She’s also a pretty awesome woman!) Check out her blog for more details 😉 Thank you Faye for sharing your journey with us! 1. Tell us a little bit about your career. Let me start by saying I LOVE WHAT I DO FOR A LIVING! I can honestly and proudly say that I look forward to my work every day and can’t wait to get started on my next project. I work 50+ hours per week and it’s not enough… I want more… that’s the kind of LOVE I’m talking about! 😉 I am the Owner/Director of F3 Designs— my home-based business where I offer services in Custom Web Design & Development, Web Content Management System (F3 CMS), and email Marketing (F3 Reach). I currently have 2 contractors working for me on a part-time basis— one being a Programmer and the other being a Designer/Developer— they are purely AWESOME and an integral part of my success! F3 Designs began as F3 (Faye Fossay Freelance) Designs in 2006. After a long-term career in desktop publishing/project administration, I chose to launch my own independent web design business on our family farm near Woodlands, Manitoba— a decision that has resulted in much fulfillment. At F3 Designs, client satisfaction is a high priority— being an independent home-based business allows us to offer a more personalized service and competitive rate. Your company’s website should make an impression on your clients— at F3 Designs we’ll make it a memorable one. We combine custom design with solid functionality and ensure that today’s rapidly changing web standards are adhered to. 2. What’s an average day look like for you? I have 2 awesome kids, and my day starts with them— which makes me a happy Mum! My alarm goes off at 6:50am— I hit snooze twice and get vertical by 7:10am, pack lunches, get kids their breakfast, make sure they brush their teeth, play with my dogs, check backpacks, tidy up kitchen, hugs/kisses/high-fives and wishes for a good day then my kids are out the door by 8am. Get out of PJ’s and into sweats (unless I don’t feel like it), make coffee, check the weather, browse some social media, and then dive into my work. My work consists of many different things: marketing, project management, advertising, project planning, web design, web development, web maintenance, research, troubleshooting, support, learning learning learning and more learning. Very rarely does my phone ring— email rather is my main communication tool, which I sooo love. email allows me to manage my business in a very effective and efficient way— if it’s in my in-box that means it needs to be dealt with, if it’s in my archive’s it’s dealt with but there if I ever need to refer back to it, and best of all— unlike the phone emails allow me time to carefully consider my response and suggestions. 3. Did you set out on this path intentionally or stumble upon it? My friend mentioned Red River College’s Continuing Education Program— and it peaked my interest. A couple months later I was enrolled in my first course, and I haven’t looked back since! Over a 7+ year period I took part in evening classes (6pm-10pm after work), successfully completed a total of 19 courses which resulted in 4 certificates (all with honors)— Computer Graphics, Website Development, Graphics Communications, and Graphics Communications Advanced. I guess I underestimated myself just a bit that day over a warm bowl of soup with my friend! I did it! I went back to school while raising a family and working full-time which steered me in the direction of my dream (to work from home, doing something that I love, and on a schedule that works for me). Bliss! 🙂 Was it easy? No! Would it I do it all over again? Yes! 4. What are some challenges you’ve incurred – past or present? My only challenge is finding the time to do all the work and learning that I want to do. Although I typically work 50+ hours per week— my husband, kids, dogs, house, and yard need me which is what truly brings me my most joy! Although working from home offers a nice balance between work and life, it’s hard to say no to your work (that you love) when it’s right there in your home with you 365-24-7. 5. How do/did you move past these? Know when to say no, keep things realistic, make time for me, keep learning, and accept that I can’t do it all! Bills to pay, a family to feed, goals that I want to achieve, and things that I want to do in my lifetime! 7. What’s the best part of your career? That I’m in my happy place— in my home that I love and here for my family when they need me. 8. If you could do it all over again, what would you change? 9. Do you have any advice for someone looking to embark on an unconventional career path? If you want something bad enough, you can have it— with a lot of hard work, dedication, motivation, challenge, drive, acceptance that mistakes are what make you learn and be better, and a whole lot of support from your family and friends! It’s never too late! 10. Anything else you’d like to say? I am blessed! I spend my days inspired by my wonderful clients and dedication to helping them succeed in their online endeavors. I have a healthy and happy family that loves and supports me. I am grateful! DFQWBS – No, it’s not just random letters! It’s always hard learning how to say no. But it is ever so important. Well that’s definitely a start!